Bold hand-polished nickel cylinders offset the elegance and intricacy of cascading chain metal tapestry in the Lucent collection. Sleek and timeless, these pendants can be displayed singularly or in clusters for creative illumination in any space. This uniquely designed pendant with its heirloom gold interior and glazed metal structure adds a warm ambiance to transitional dicor. The Piquito is dramatic on its own or when grouped with other members of the collection for maximum illumination and effect. This sleek minimal series of hand-polished metal pendants makes a bold statement in simplicity. Available in three colours, this collection is best displayed in groups for enhanced dramatic effect. 1-Light Gun Metal Pendant with Dark Blue Acrylic Shade - 14.25 inch This island/billiard will update your home with its eye-catching design. 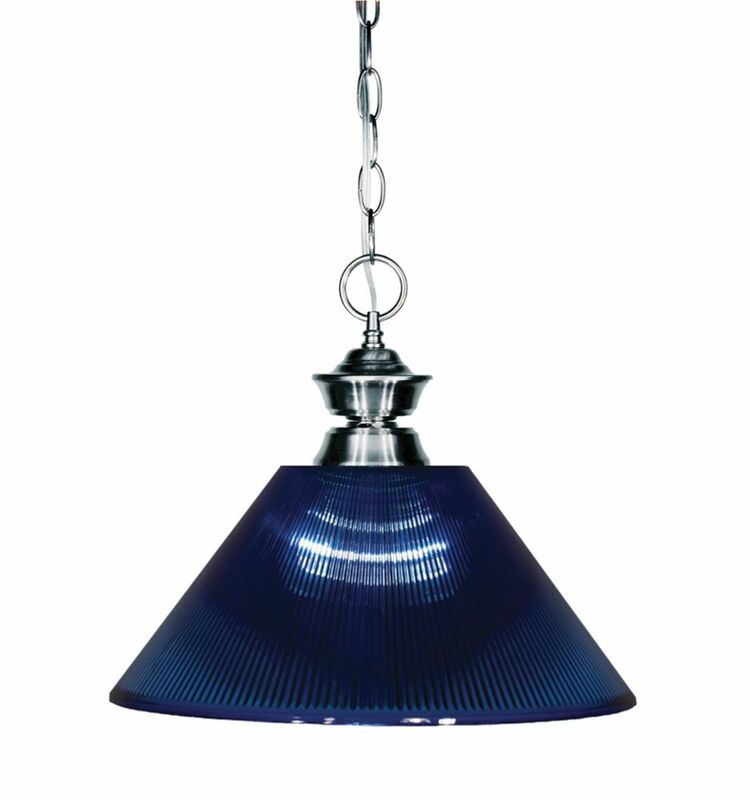 Featuring a gun metal finish and dark blue shade(s), this fixture will accommodate a variety of dicor styles. With its easy installation and low upkeep requirements, this island/billiard will not disappoint.